I have learned (am learning), to my deep regret, that saying exactly what you think is not always such a good idea. Granted, there are times when you need to do so. Rare, but they do exist. 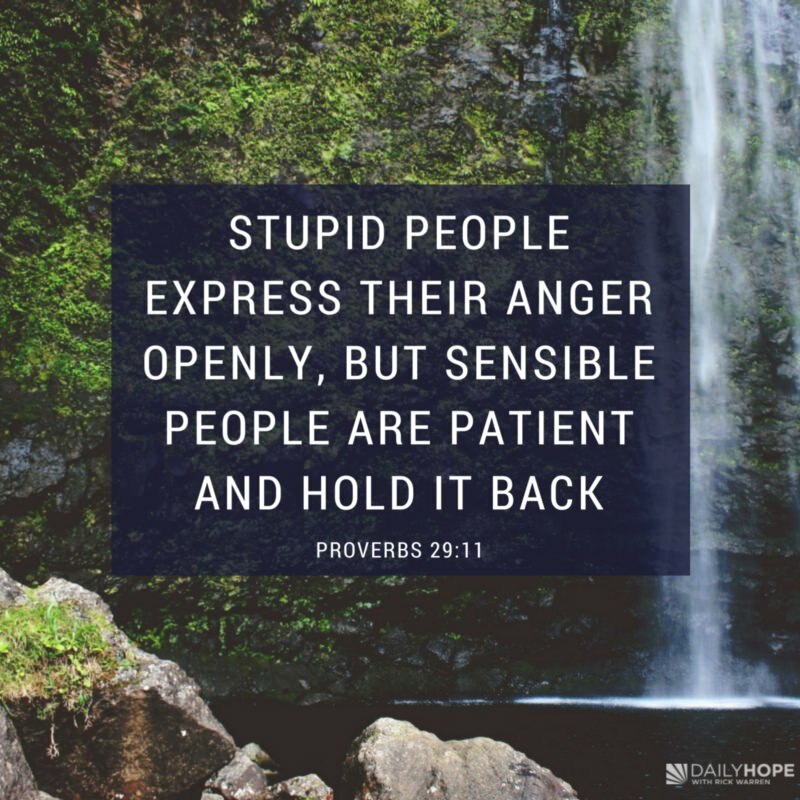 But if what you are expressing is nothing more than anger vented all over everyone who is unfortunate enough to be in the direct path of your eruption, then, God says you are a fool. A silly person who has no sense and cannot control himself. And you don’t even know that everyone wishes you would just stop. Just sit down and be quiet. You embarrass yourself; you embarrass the people who care about you. “But I’m RIGHT!” you may say. And maybe you are. But in your anger and venting all over the place, you have won no one to your cause. You have alienated people who might have been swayed by a calm conversation instead of a furious, red-faced, vein-bulging rant. I do a lot of marital counseling. There is usually one partner, sometimes both, who constantly vents rage; who constantly insists he/she is right; who cannot accept being contradicted, and who must, MUST have the last word. Love dies under those conditions. It may take a long time, but eventually there’s just nothing left but the ashes of what was once a fire of new love and passion. There is a reason that people who have been married 40 years or more split up. One or the other of them just can’t tolerated another day of being locked in conflict with a rage-aholic. Couples who have been married that long rarely divorce over adultery. It’s far more likely that one or the other of them just can’t take it any more. I am learning that if I choose to contain my words for at least 24 hours, they probably won’t need to be spoken at all. And I haven’t poured scorching fire all over anyone’s head. Even when I really must speak up, I’m learning to do it with tact and a calm approach. Jerusalem will have undergone the worst destruction ever, but still, even though it seems she will never recover, God has His hand on His people. Jerusalem, standing now for all of Israel, will have drunk the cup of God’s fury down to the dregs, and there seems no one is left to guide her, rescue her, or restore her to health. This is a prophecy that follows the Great Tribulation, when Antichrist does all in his power to destroy the people of God, Jew and Gentile alike. The devastation around the world is terrible when Antichrist’s evil is unleashed. It seems that with every President we have in America, someone wants to point to him as being the Antichrist. We need to stop that. We have no idea who that man is, nor when he will appear. Some believe he will be a Jew; others, that he will be accepted by the Jews as a great political leader. Either way, we do not know who he is; we only know that the evil he performs will make Hitler look like a nice guy. The upheaval of our times has a lot of people declaring that it can’t be much longer before Jesus returns to earth, but I will tell you that it is foolish to make predictions. The Bible says that no man will know the day or the hour. Our job is to be busy reaching the lost for Jesus Christ. The rest is in the hands of God. v. 14: The captive prisoner despairs of dying in prison; hopes daily to be freed; wonders if he will starve. God will deliver His people from all captivity forever more! V. 15: God again reminds Israel that He has always been their God, the One Who divided the waters so they could pass across the sea on dry ground. He created the sea, after all; He could certainly make it do His bidding. V. 16: Speaking of the blessings of the Millennium. God has turned the hearts of His people back to Himself. They are full of His words, and He is fulfilling His promise to a new heaven and a new earth, and reclaiming His people Israel. Of course, I’m speaking in my prayer of the Rapture, not the new heaven and new earth that God has promised. I have to take comfort, though, that He has promised to walk beside me through whatever may come. Following one of the major themes in Isaiah, this passage describes the return of a believing Israel to the land, and to the worship of Messiah during the Millennial Kingdom. Verse 11 is what all our insignificant efforts at world peace want so badly. It will not happen until Jesus, Messiah, establishes His Millennial kingdom on earth. THEN, and only then, can we truthfully sing, “Joy to the world, the Lord is come. let earth receive her King!” There will be singing; endless joy; gladness; and sorrow and mourning will disappear. It is hard to imagine such a time on this earth which has seen endless sorrow since Cain killed Abel way back in the Garden of Eden. Verse 12 asks a very difficult question: Why is it that man trusts in man, and is afraid of men who are powerful on this earth. Those powerful men and weak and temporary, as every dictator, tyrant, and merciless ruler has learned and will learn. There is no joy for them. Yet, in spite of the temporary nature of human rulers, we turn to them and forget God. Verse 13 reminds us just Who we are dealing with. This is the God Who created man. This is the God Who stretched out the heavens and created the foundations of the earth. We are not to fear man, or trust in man’s weakness. God has promised to protect His own, and will bless those who fear (honor, respect, regard with awe) Him. This is the solution to the horrible mess America is in right now. Don’t trust in man, who will fade like a blade of grass. Turn to God. Trust Him. Honor Him. He is the only safe place, the only Rock in a weary land. 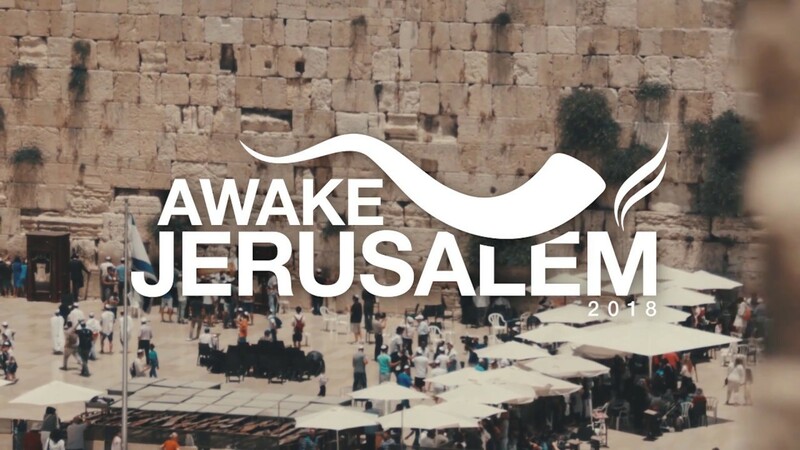 Here, the people were calling upon the Lord to awake and put on strength as in ancient days when He supernaturally intervened at the time Israel was in danger of extermination. They were so desperate that they made their request in the form of a command to God, as He had told them to do (45:11). Then, they asked questions concerning His identity with the miracles of the past in leading Israel out of Egypt, and concluded that since He was Deliverer in those days He would rescue them again, bring them back to Zion, and restore them as an eternal nation under their Messiah. The arm of the Lord is figurative of His power, as in many scriptures. You may find it a blessing to do a word search on that phrase. Rahab is the poetic name of Egypt (Ps.87:4; 89:10). The dragon in v. 9 is a crocodile, which infested the waters of the Nile in Egypt. 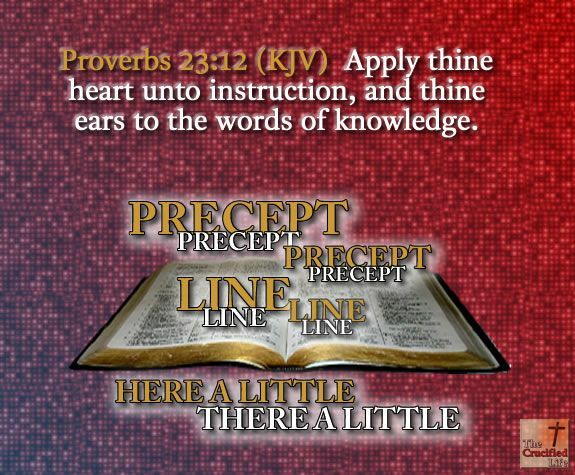 Those who know righteousness not only have knowledge of it, but they understand it, and hold God’s Word in their hearts. They do not have to fear when absurd accusations are made against them, or when they are reviled by men who do not know righteousness. 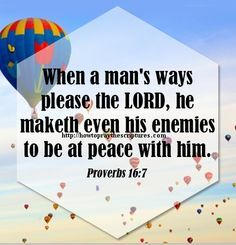 Those who mock at God, and persecute the righteous, are weak compared to God’s righteousness. They are like clothing that the moth chews up, and the worm that destroys the wool. His righteousness is eternal, and will far outlast the scorn of evil men. When the unrighteous have fallen, God’s righteousness will still be there. It is impossible to overthrow His righteousness. Do you remember, when you were little, thinking that once you were an adult you would understand everything, and have all the answers to the questions of life? You would be sure of yourself, confident, always know what the right decision is. There would never again be a problem you couldn’t solve. Alas, what I’ve learned is that the only time all that will be true is when God takes me home to heaven. Why? Well, because I’m human, and therefore prone to error, as are all of us. Even my dad, which was very hard for me to accept the first time I was with him and he got lost. I’ve told that story here, written six years ago for Father’s Day. Sometimes my human fallibility is problematic. I’m a professional counselor, or more grandly, a psychotherapist. My clients come to me expecting me to have the answers that will magically make their lives better. That almost never happens, because change is a process, not an event. And, of course, because I don’t have all the answers all the time. Also because when I do know the answers, my clients don’t always like them. It’s not unusual for my clients to want me to fix everyone else, not believing that change needs to come from them as well as from the other people in their lives. The one time I’m sure beyond a shadow of a doubt is when the clear answers come from the wisdom in God’s Word. That is the most important source of knowledge and wisdom I use in my counseling office. Instruction and knowledge come from God. And He does know all the answers, all the time.